Safeguard your business with help from our comprehensive health and safety services. 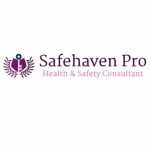 Based in Wirral, and serving clients in Chester and the surrounding area, we provide health and safety consultancy, behavioural safety and training, and crisis management services. Our team also provide up-to-date first aid training to ensure that you meet current legal requirements. With more than 15 years of experience in the industry, we should be your first choice for health and safety expertise. Simply make an enquiry today to begin improving your business. Meet legal requirements and safeguard your business with aid from our health and safety consultants. We provide a wide range of services, as we bulletproof your business from the health and safety minefield. Price: Call for more information.